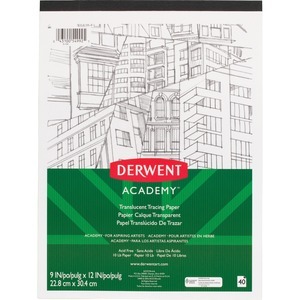 Tracing paper features a highly transparent design for easy high-definition tracing. Archival-quality material is lignin-free and fade-resistant to keep your work looking great for years to come. Acid-free paper prevents it from yellowing over time to maintain its high-quality appearance. Tapebound pages allow you to cleanly remove pages when needed.